Q. What does bwa™ stand for? Q. What are the WiFi Router Requirements? A. bwa™ communicates over a 2.4GHz home network supporting 802.11b/g/n wireless technology. 5GHz networks are not supported. Standard wireless setup supports only home network routers configured to use open (no security) or WEP/WPA/WPA2. The router must broadcast on Channels 1-11. Guest networks/Hotspots that use a portal page to login. Enterprise access points configured to require certificates or some other form of enterprise authentication (aka "802.1X", "RADIUS", or "WPA/WPA2 Enterprise"). Q. Are there any ports that need to be open for proper communication? A. These ports must be open: TCP port 3197 (non-secure) 3199 (SSL), as well as UDP port 123 for NTP Time Management. Most home routers have these open unless someone has changed them. Q. Does it work outside the US - in Europe, Asia, elsewhere? Q. What channel does my router have to broadcast on to communicate with the BWA? A. The BWA wifi module communicates on channels 1 – 11. Q. In your testing what is the effective range of the transceiver in relation to the wireless router in the home? I know there are a number of variables but what is the worst case? 10’, 15’, 20’? A. For best performance, your module should be within 10' to 15' of your home router. The module has a 12' cable and be moved from under the tub closer to the router. If you need a longer cable, you can contact your dealer for a 50' wifi extension cable or install an additional router or wifi extender within 10-15' of the tub. Q. When I connect via the local home router with one (1) device, then I try to connect with another smart device at the same time, the next device connects via the cloud. Why? A. There is only one (1) local router port available for connection. So if you have more than one (1) device trying to connect via the local router, the others connect via the cloud. Q. Sometimes when trying to connect to the spa via my local home router, I get connected via the cloud instead. Why? A. This can happen when another device was already connected via the local router and did not disconnect. This seems to happen more often with Android devices, but it can occur with iOS devices also. You should kill the app on the Android or iOS to make sure it drops the local connection properly; otherwise the local router connection is taken by the previous running version of the app. This is just how apps sit in the background in Android devices. For iOS devices, make sure you are out of the app. Q. Has the revised app been reformatted for tablets this time around? A. The apps display on tablets, but they have not been fully optimized to take advantage of all the tablets capabilities in this version. Q. I am able to connect to my new wifi module directly (same as the previous version) no problem. I then change the wifi settings to connect to my home network, no problem. It then instructs me on my iPhone to connect to my home network to connect to my spa. This is where I am running into trouble. Once I change back to my home network on my iPhone and try to connect to my spa it keeps telling me “connection failed.” Why? You may have mistyped your password, SSID or set you encryption wrong. The bwa module tries to connect to the router using the information you entered. It will keep trying for 3-5 minutes. If after that time it cannot connect, the bwa module will show up again as networks on your Wi-Fi settings screen. If it does, repeat the process to connect to the router making sure you type the SSID & password correctly and select the proper encryption (Open, WEP, WPA). You do not have local Wi-Fi coverage or very weak signal from your wireless router at your tub. If you cannot connect to the internet using your smart device and your local wireless router, the bwa module cannot connect to your home router either. You will need to add a repeater or network extender to make sure you have local Wi-Fi coverage at your tub. Q. Do you have supporting installation and operational instructions for new users? We really want to avoid the phone ringing off the hook in the service department because the dealer or consumer can’t make a connection or can’t get it to work. The Welcome Kit & 1,2,3 Quick Install Guide are also included in the Retail Kits. We also have a YouTube playlist with videos on how to install and operate the app. Q. Are there instructions packaged with the new module as well as something to explain the free year of cloud access? A. Only in the retail version. Not with the plain module itself. Q. What Balboa systems work with the bwa WI-Fi module? A. 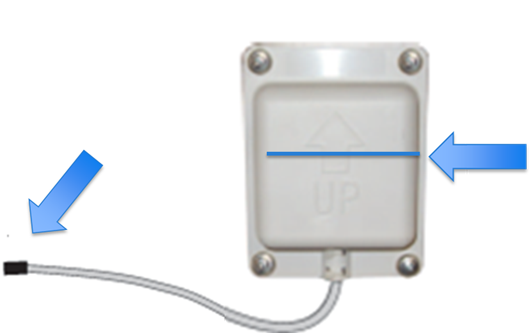 The bwa app and Wi-Fi module supports all BP systems including BP500/600, BP501/601, BP1500/1600, BP2000/2100, BP2500/2600, Revolution & Colossus. Q. Does it work with older non BP systems (VS/GS or EL/GL as an example)? A. The new Wi-Fi is not compatible with the older legacy systems. The older systems do not have the resources and capabilities to run the new technology. In some cases it may be time to update the spa packs instead of repairing them. Q. Is the new app backward compatible with the existing Wi-Fi modules? A. The new iOS app is backward compatible with the existing Wi-Fi module (PN: 50254). It works as it does today in local mode with the iPhone and all iOS devices in direct connect mode only. The 50254 module does not support Android devices. 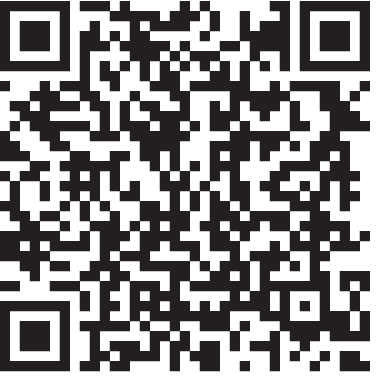 The Android app only works with the new bwa Wi-Fi module 50350. Q. What are the Wi-Fi Router Requirements? A. The router must broadcast on Channels 1-11. Position your wireless router within 10' to 15' of the tub. Position the wireless router off of the floor and away from walls and metal objects, such as metal file cabinets. The fewer physical obstructions between your module and the router’s signal, the more likely that you’ll be using the router’s full signal strength. SSID (Service Set Identifier) - All wireless devices in your network must specify a password or SSID. Our agents strongly recommend a unique, obscure combination of letters and numbers that you can recall easily. WEP Security (Wired Equivalent Privacy) - A security protocol for wireless networks designed to provide the same security as a wired network, WEP encrypts data as it’s transmitted radio waves. WPA Security (Wireless Protected Access) - A security protocol designed with stronger data encryption and user authentication, WPA is relatively new and more secure than WEP. 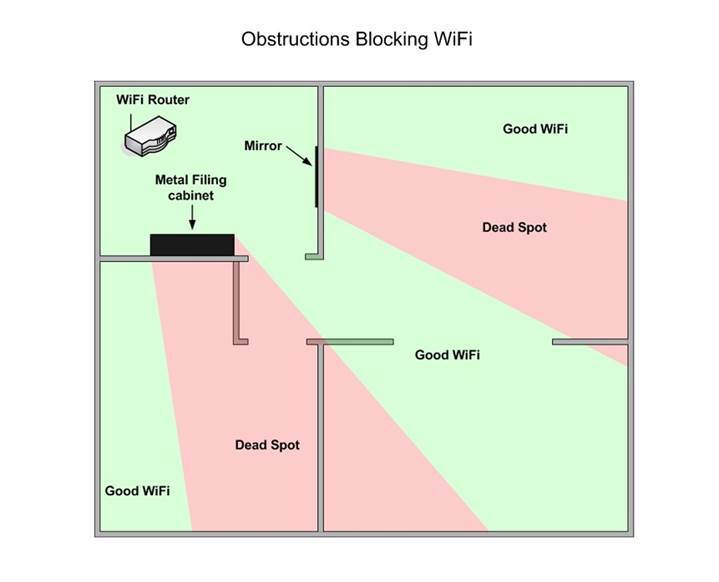 Re-position dense obstructions in your home so that your routers Wi-Fi signal path can reach your Wi-Fi device. Some common household obstructions include mirrors, metal filing cabinets, kitchen appliances, bathroom fixtures, and furniture. Basically anything metal, brick, stucco, porcelain, tile, or hardwood will hinder or stop Wi-Fi. Foil covered insulation will also stop Wi-Fi. Black shrink wrap with “reset” magnet.